Attractive opportunities await property and residential investors in the city of London based on estimates that a rapidly widening housing shortage could double rental prices in the medium term. The projected rise in housing demand has been based on an assumption made by the UK government stating that household numbers in London are to expand between 34,000 and 38,000 yearly until 2028, while the number of homes delivered is no less than 21,000 a year. Until the demand matches the supply, existing rental homes and other buy-to-let properties in the city will be subjected to higher rents. The tight supply and demand scenario could be viewed as an opportunity for property investors, an independent research study, “Renting in London: the coming boom”, written by Mr. Michael Ball of the University of Reading, for Cluttons, had pointed out. Professor Ball explained further that tenants are particularly attracted to rent rather than directly purchase because of the very high prices, tight loan approvals, and the flexible terms available for private rentals. 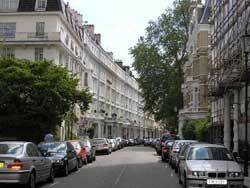 He said that yearly average rents in London could grow by 5%, defeating average house price yields of about 4% annually. The UK’s improving economy could provide the backdrop for Mr. Ball’s house rental market forecast. Larger flats with average 175 square metres in size were slapped with a 12% increase in rents to about GBP 1,100 in monthly rental income, GPG said. Rental prices for London’s premiere locations have risen as well, but annual gross rental yields have declined.